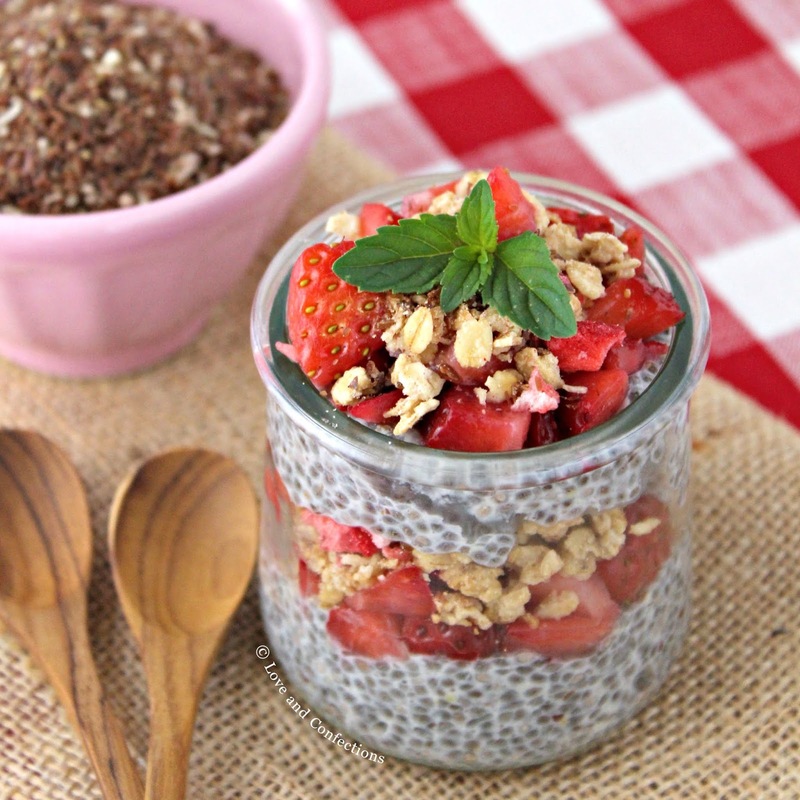 Overnight chia seed pudding is one of my favorite, and easy, recipes to prepare for the morning. I add in extras, like fresh strawberries, granola, and Barlean’s Superfruit Seed Blend for a delicious addition to your brunch. This post is sponsored by Barlean’s. All opinions are mine alone. Brunch is my all-time favorite meal – I even devote an entire week to it every year. When Barlean’s asked us to use their Superfruit Seed Blend and Organic Culinary Coconut Oil to create a brunch menu item, I was thrilled. 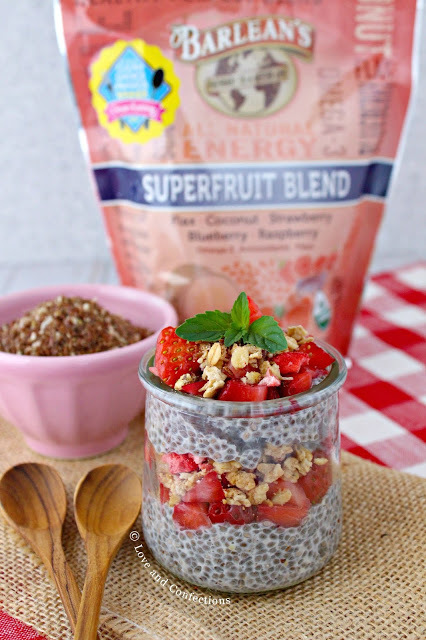 I chose to create an overnight chia seed pudding that was combined with the Superfruit Blend. While I love all kinds of brunch items, sometimes all the casseroles, waffles, pastries and eggs are a bit much to prepare. 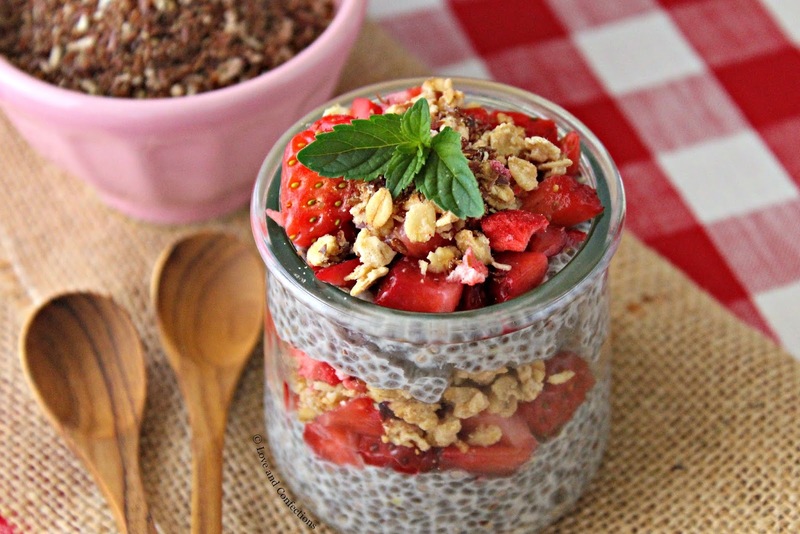 I love easy, make-ahead dishes, and overnight chia seed pudding is one of my go-to’s. I combined chia seeds with milk and the Superfruit Blend, then refrigerated overnight. Adding Barlean’s Superfruit Blend, which is full of flax, coconut, strawberry, blueberry and raspberry, gives me the omega-3’s, antioxidants, and fiber I need to start my day off right. 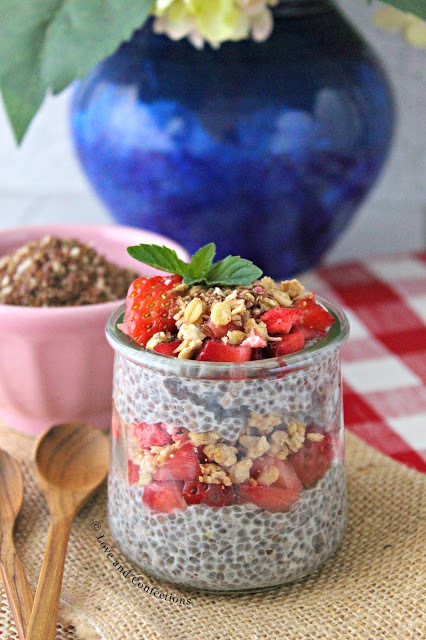 Layering chia pudding is one of my favorite ways to eat it. The flavor combinations are endless and it is the perfect interactive brunch dish, because everyone can pick their favorite mix-ins. 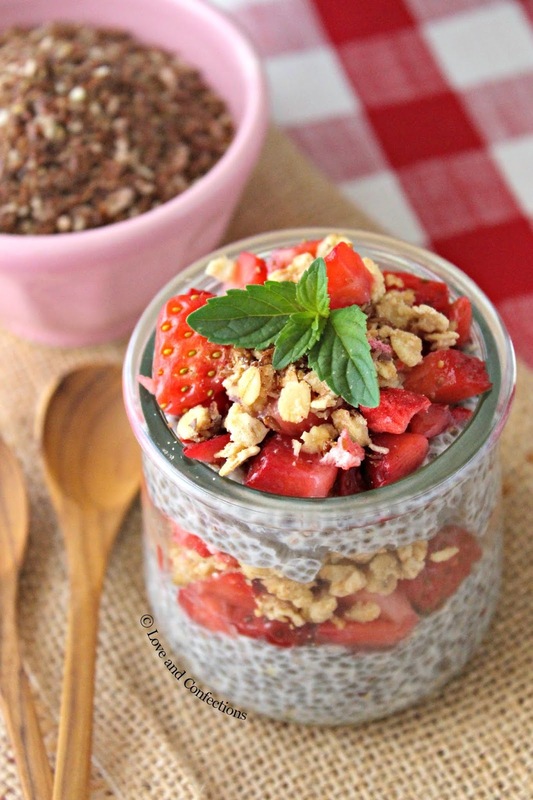 Granola is one of my staples in the pantry, and the first thing I grab when making chia seed parfaits. I even made my own batch of granola, using the Superfruit Blend and Culinary Coconut Oil. Making my own granola is easy, and fun, because I can combine different nuts, seeds, and fruits. Plus, I know every ingredient that is in the mix. Fresh fruit is a must! Strawberries are my favorite, but I also use blueberries, bananas, shredded coconut, pineapple, the sky is the limit. Layering with different flavors and textures builds on an already great brunch item. Try my other favorite brunch items with chia – Carrot Cake Overnight Chia Oatmeal and Piña Colada Overnight Oatmeal. Barlean’s mission is to pave a “pathway to a better life”. They believe people can make a difference in the world through ordinary purchases. Barlean’s is committed to improving the quality of life for every person on the planet by making the best products they can and using profits to support outreach programs. I love their mission statement, and am so grateful to be working with them this year! I hope you enjoy my newest brunch recipe! Combine milk, chia seeds, Superfruit Blend, vanilla and honey in bowl or mason jar. Whisk together, or shake if using a jar with lid and let sit for 5 minutes. Shake or stir once more to break up clumps, then store in refrigerator overnight. Serve layered with granola and strawberries.